DJI GO is a resource hungry application, so it’s best to ensure your Apple tablet or phone is setup properly and optimized for speed. Follow the tips below to configure your Apple device and install DJI GO. Note: The screenshots found below were taken on an iPhone 7 running iOS 11.2.6. Depending on the version of iOS that’s installed on your mobile device, your screens might look a little bit different. 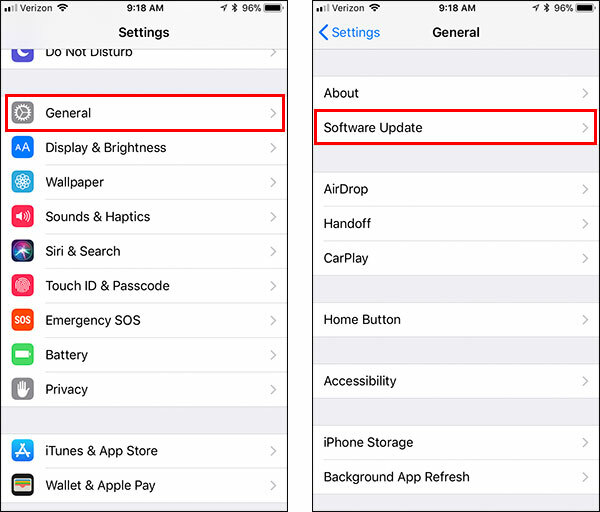 Install the current version of iOS on your mobile to ensure you’re able to take advantage of the latest iOS performance tweaks. Verify that you have at least 1GB of free storage space available. 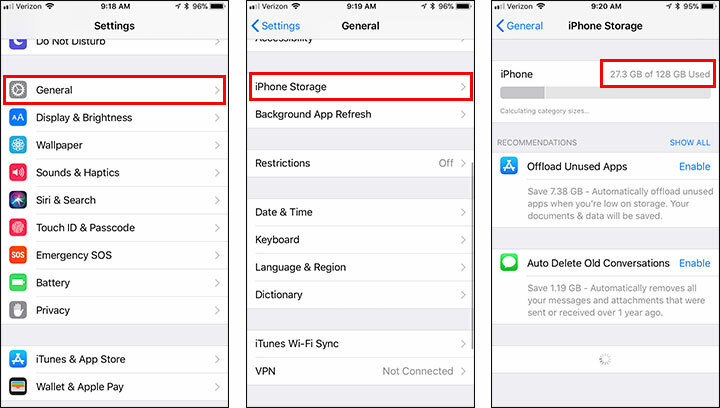 If your mobile device is low on storage space, you can free up more space by uninstalling apps you no longer use, deleting unwanted photos/videos, deleting old text messages, and/or deleting old voicemail messages. 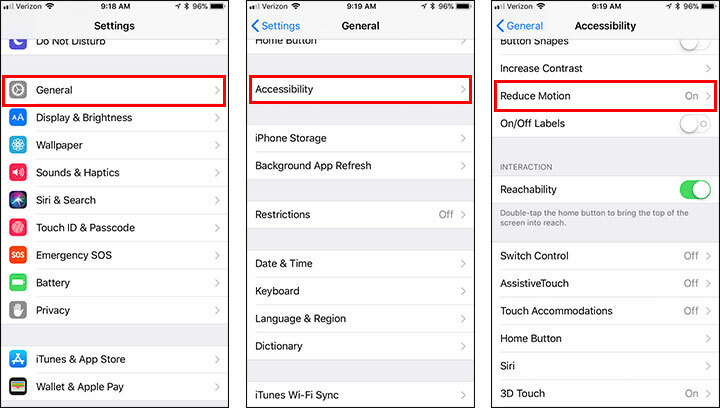 By disabling unnecessary display animations, you’ll be able to decrease the time it takes to navigate through the apps, windows, and menus on your mobile device and decrease the processing power needed to make those transitions. 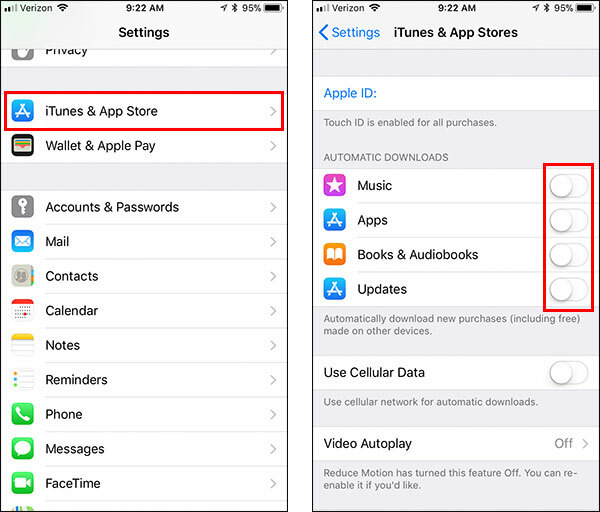 By default, your mobile device will automatically download purchases you make in the iTunes Store, App Store, and iBooks Stores and download updates for currently installed apps. You can free up resources on your mobile device by preventing these downloads from occurring in the background. When disabled, you’ll still be able to manually download these files/apps when you’re ready to do so. 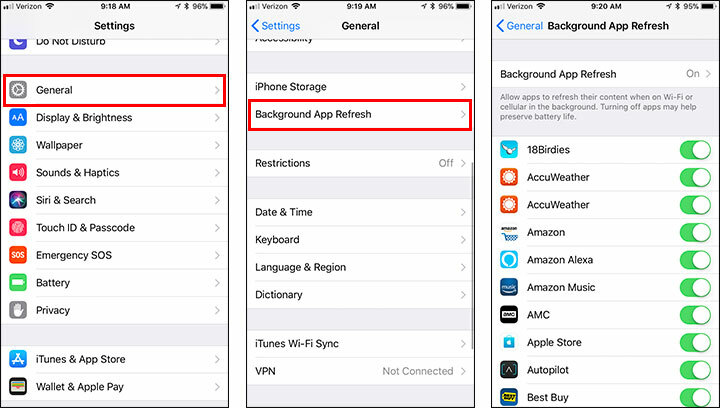 The Background App Refresh feature lets background apps run periodically so they can update their content. This background activity uses additional resources and data. 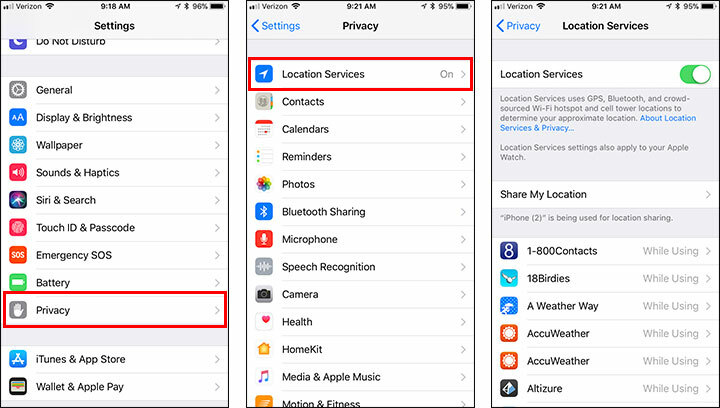 The Location Services feature allows apps to use information from cellular, Wi-Fi, GPS, and Bluetooth to determine your approximate location. 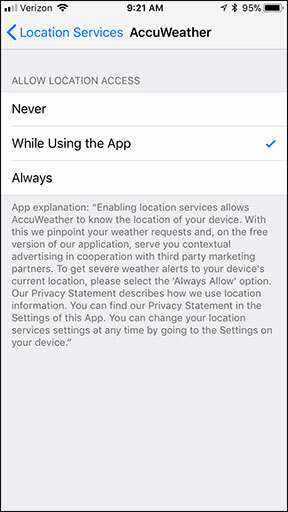 By default, many apps are allowed to access this data when they are running in the background. This background activity uses additional resources and data.